Courtesy of Seventh Flag Coffee Co. 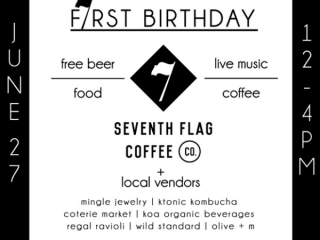 Seventh Flag Coffee Co. know there's no better way to celebrate a birthday Austin-style than with a lawn party featuring handcrafted coffees, free beer, local vendors and lots of live music. Everyone is invited out to this splendid (and free!) birthday celebration.